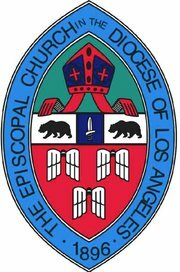 At its spring meeting, the the Deanery Council of Deanery X in the Episcopal Diocese of Los Angeles authorized the creation of a blog and Facebook page. John Taylor volunteered to work in collaboration with our dean, the Very Rev. Canon Peter Haynes, and our secretary, Loreen Guilford, to create templates for the two pages to get the process started. The Deanery X Facebook page is here. Comments or suggestions? Please contact John at revjht@msn.com.